Your first months of pregnancy is a whirl wind experience. Whether it was planned or unplanned, your head is probably still spinning. 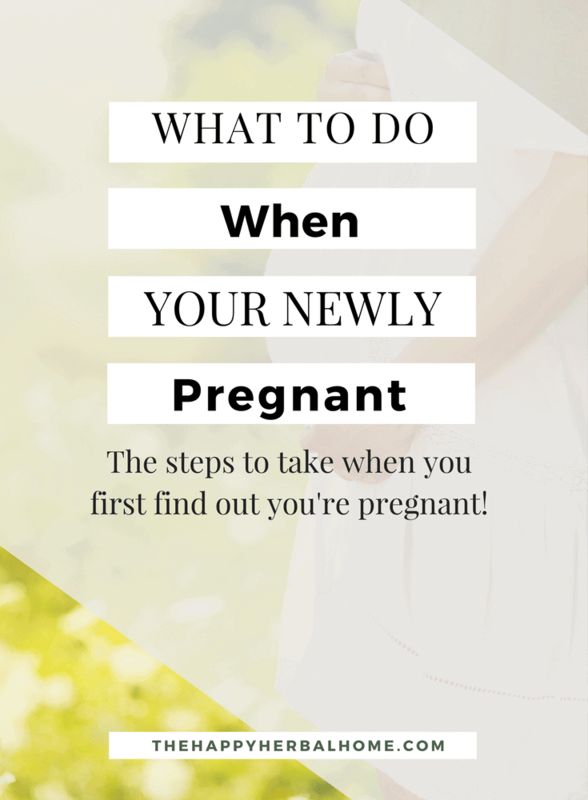 What to do when you find out you’re pregnant? The excitement and anxiety can all be overwhelming, but it helps to have a list of what you should be doing, to help guide you on what to do next. This post contains some affiliate links (this means if you make a purchase after clicking a link I may earn a small commission but it won’t cost you a penny more)! Click here for our full disclosure. Thank you! So What do you do when you find out you’re pregnant? Prenatal vitamins are very important right from the start. Your body is literally building a human body using all of its resources to do so. Make sure your body is well equipped with all the nutrients to allow those process to work well. The prenatal vitamins I loved and took regularly are the Mega Food Brand. I took these during my entire first pregnancy, while nursing that baby, and right into my second pregnancy. They are food based, which means they are supposed to absorb into the body way better than the more synthetic vitamins. They also contain folate instead of folic acid. 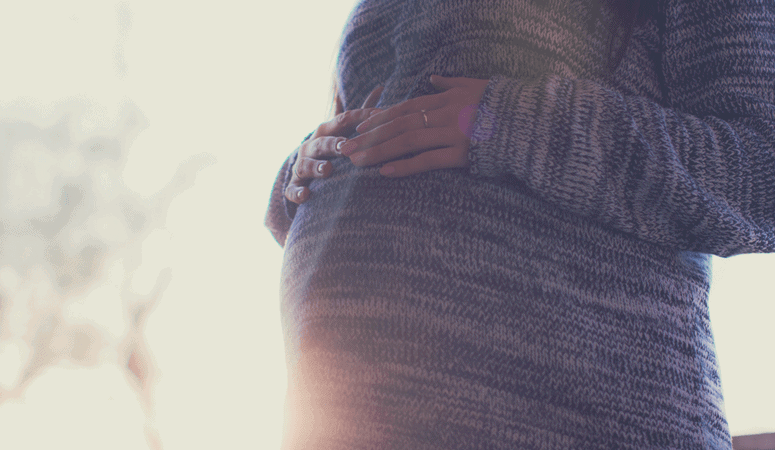 You may have heard that folic acid is very important during pregnancy. This is because it prevents severe birth defects that can affect the brain and spine. There are two big issues that people tend to have with these particular brand. They are expensive compared to the cheaper vitamins on the market, but I genuinely was concerned with the quality of the cheaper ones. It was worth the extra money to me. The synthetically processed vitamins may not absorb the same in the body. They also may not be as effective. This is one place I didn’t want to skimp. This particular set of vitamins (the ones I took) had a dose of 4 pills a day. I divided mine evenly throughout the day, but the bottle states you can take them whenever you please. With the real food vitamins, you have to take more pills daily simply because they cannot condense the amount any further without losing the nutrients. This never bothered me. But I can see how some new moms feel that this is just too many pills. The brand did recently put out their newer version which is just 2 a day though. If you order them through Amazon, you can order a subscription (since your going to be in this for the long haul) & you’ll get them for a few dollars cheaper. Not much, but every bit helps. So other than a general vitamin and folic acid, the next essential nutrient is DHA. According to this research review, DHA and EPA are essential to brain and eye development. It speculates that most women in the US do not consume enough fish or seafood to reach adequate levels of DHA. A great benefit to these ones are that the pills are really little, and they have NO fishy taste or smell. Which when morning sickness is in full swing, you will be grateful for! They are also gluten & dairy free, if that’s an issue. I wrote all about the Benefits of Red Raspberry Leaf Tea here. It’s the go-to pregnancy herb. I drank the tea during both of my pregnancies. It’s nourishing, and helps tone and strengthen the uterus. I also attribute it to my second fast labor after drinking a strong infusion of it when my contractions started. Of course, always speak with your medical provider before starting any herbal supplementation. They all have their pros & cons. Your choice of what type of birth you want needs to be weighed with your situation and financial situation as well. My first birth was at a birth center with a midwife. No other medical personnel. It was amazing and beautiful. Everything I wanted happened as it should have with no arguing or feeling pressured or judged. 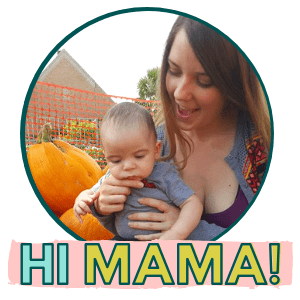 During my second birth, I had some medical issues during my pregnancy and got a bit scared. I had my second baby in a hospital setting. Things did not go the way I wanted, but I resolved myself to that this is just how things go in hospitals sometimes. My baby came out healthy and we were both taken care of, so I cannot complain. Regardless of what type of birth you want, make sure that YOU are comfortable with the choice and it’s what you want. Regardless of what that means. I truly believe that if you feel safe and comfortable, your birthing experience will go a lot better. I feel this truly has the last impact on the emotional and mental well-being of you and your baby. If you are on prescription medications, you’ll need to find someone ASAP to ensure that it is safe to continue your medications or if it’s safer to stop them. If you can’t find someone you love right away, it’s ok to switch later too. When choosing a provider you have to find someone who you’re comfortable with. Someone who’s mind frame and medical views follow similarly to yours. If you plan on birthing in a hospital you will have the choice of an OB-Gyn and sometimes a midwife. 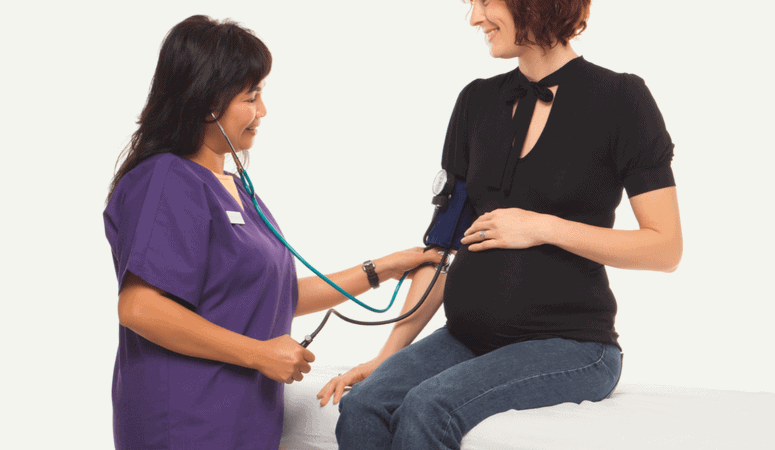 If you want a birth center or home birth, you will likely need to find a midwife. Check your insurance policy to see what your options and coverages are. My insurance would have covered a midwife, but the only gave me to providers I could have used, and they were over an hour away, and I didn’t like the hospital I would have had to use. 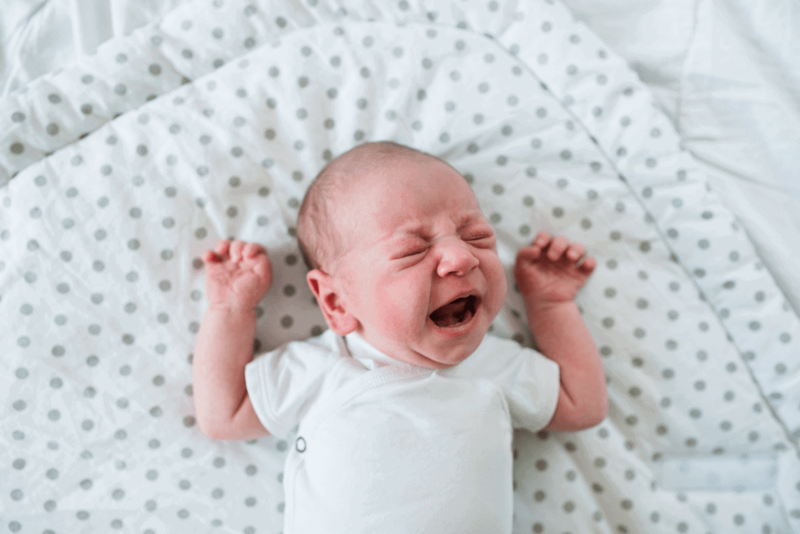 Which hospitals or birth centers are they allowed to deliver at, do they offer home births? What are their view points & do they align with yours? You can go with someone whose views are different, but are you going to have to fight for what you want? Will they support you? Are they interested in supporting your desires and wants? Now is the time to start thinking about a prenatal course. 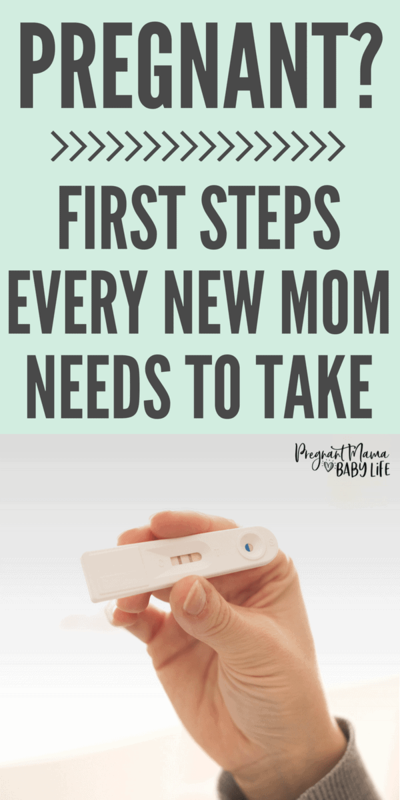 Some people think they don’t need them, but this is an absolute NECESSITY if this is your first pregnancy. Even if it’s not, it can still help you have a great birth experience. Knowing what to actually expect (and not just what you think is going to happen) can help you prepare better. Better preparation means that you will have less fear of childbirth, be able to plan well for it, and have a pleasant birthing experience. Which IS possible. You can start by looking at your local hospitals birthing classes, or find one online. If your looking for a good recommendation, try this prenatal course. It was created by a labor and delivery nurse who’s passionate about empowering mothers to have a good birthing experience. She even offers a free beginners course, so you can try it before you buy it! This means cutting out the Non-Pregnancy safe foods. The list can get extensive, but the reasons are valid. 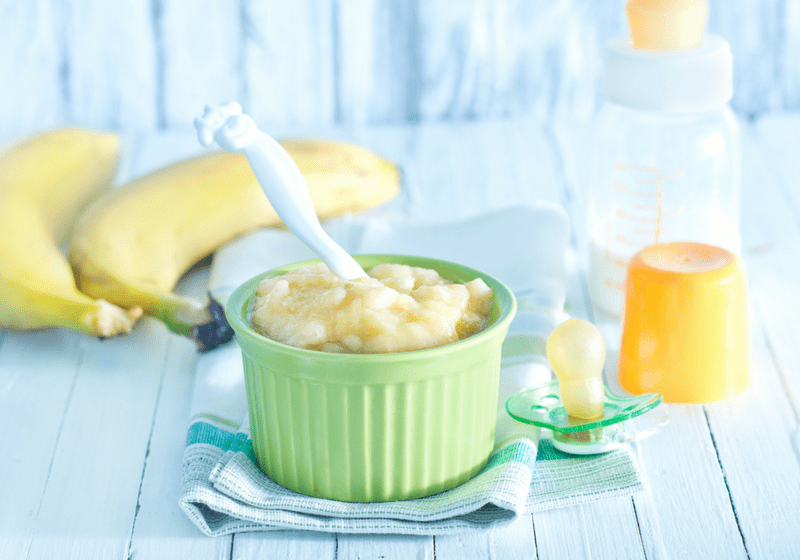 Make sure to avoid these foods for the safety of your baby. 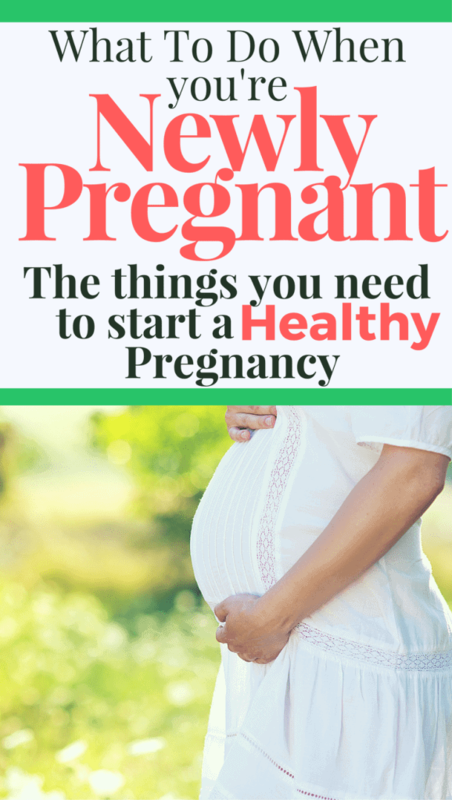 This article outlines all the danger foods of pregnancy. 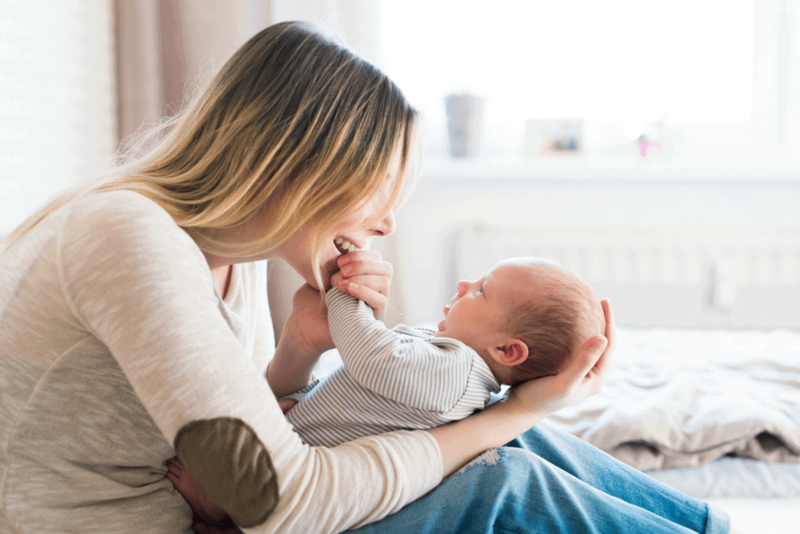 These habits are so important for the well-being of both you and your baby. I’m not just talking about eating well either. I’m focusing on habits that help keep you mentally healthy. Numerous studies have shown a direct link on how mama’s mental and emotional well-being affect their baby for their entire lives. As a new mama, you have some pretty big responsibilities. This means it’s up to you to ensure the best start for this tiny being growing inside you. This means that YOU have to make sure to take care of YOUR mental and emotional health during pregnancy. Despite your situation, you are going to have to find a way to deal with stressors in a healthy manner. Anxiety and depression can have a direct effect on the way your babies brain develops. There are studies that suggest that chronic depression can actually wire your babies brain to be set up for chronic depression too. A great book that discusses these studies and their implications is Pre-Parenting by Thomas Verny M.D. I read this book, it mostly talks about how the mothers hormonal and emotional balancing can affect her babies brain. It really motivated me to keep my emotional and mental health up during my pregnancy. I would read it during my down times at work and be so excited to tell my husband all the different ways my emotions affect our babies brain development. 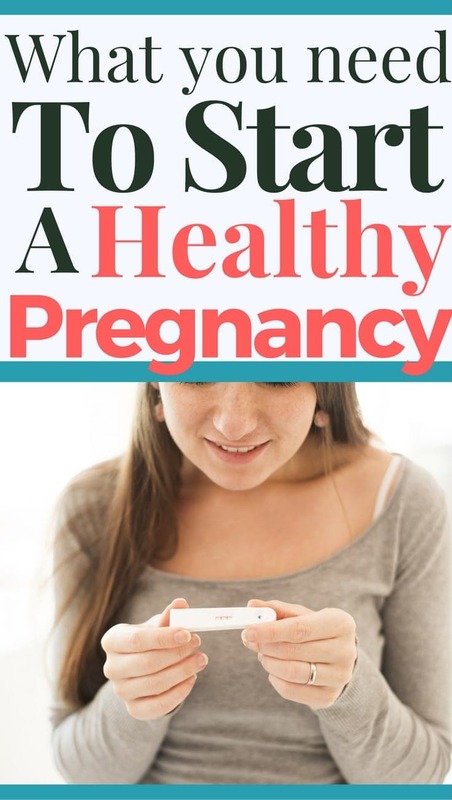 As a warning, this book mostly discusses research studies and how these things could relate to pregnancy. It’s not an easy read, but I found it very interesting. The point is, you have to find a way to deal with your issues the best you can. I personally have struggled with anxiety and did not want to pass this onto my kids. (You can read on ways to deal with anxiety naturally here.) I had to find ways to find my inner peace as best I could. Of course, this isn’t possible all the time. I definitely had my hormonal moments like every other pregnant woman, but I took comfort in the fact that I was doing my best. What more can you ask from a new mom? When I found out I was pregnant, I bought a really pretty journal to start writing about the process to my son. I wanted him to know how much I loved him from the very start. I basically made it a journal and put the dates of important events, like our first ultrasound and the first time I heard his little heartbeat. Barnes and Nobles has lots of pretty journals too though. There are lots of beautiful pregnancy journals so you can keep track of all the memories during your pregnancy. This one is awesome! What a pretty way to reflect on the whole process of welcoming new life into the family. I also love this one. This journal is perfect if you want to document memories for the baby. It would make a sweet gift to give your baby when they turn 18. A collection of thoughts and memories bound in a beautiful book from mama. The biggest thing you can do when you find out you’re pregnant is to find joy in the process of it all. This is a very special time in life, and it goes by way faster than you can imagine. Try to take time each day to mentally “talk” with your little one and tell them that you guys are in this together, no matter what that means. This is one of the most special bonds you will ever have, and it deserves the best start you can give it. Thank you for writing this post! This is such helpful information and just what I needed to read today! I appreciate your links to the supplements so I don’t have to spend a ton of time searching for the perfect supplements myself! I’m glad they were helpful! 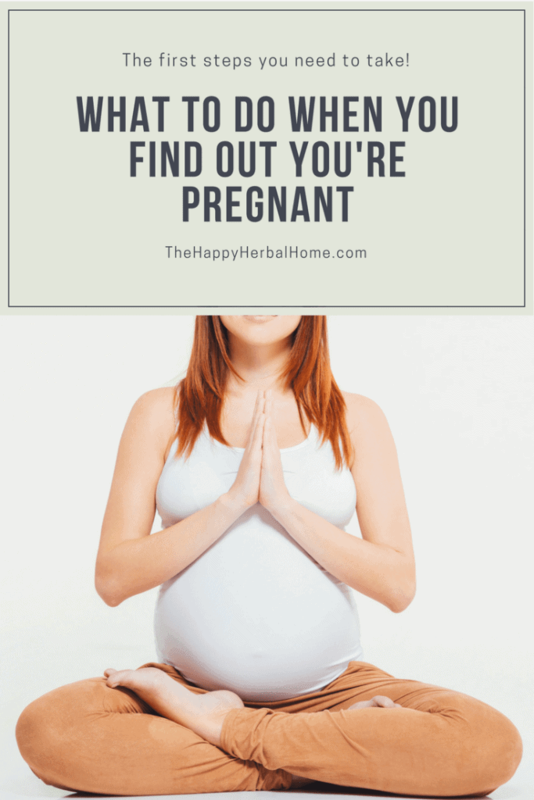 These are the supplements I’ve used for all my pregnancies, after doing a ton of my own research. Congrats! Megafood Baby and Me Review: Are they really that great?